A properly built, natural stone seating wall remains beautiful for years, and creates some amazing moments for your family and friends. Besides containing your garden seating area, it provides additional seating space like Stone chairs, stone couches, stone sofas in the garden. You can build them in various ways based on the type of material used for the purpose. Here are some tips to build it using natural stone blocks. A seating wall can be anywhere around 10-18” height based on the age group of individuals (1-13 years) using it. For many would consider 24” as the comfortable height, especially grownups. As you are using natural stones you need to know that larger stones should occupy the base, medium sized ones make the wall, wider ones form capstone, pea gravels fill the spaces between stones. If you are using pebble stones to build the garden wall use mortar to strengthen the wall, as without a binding agent the wall can collapse. Brick shaped natural stone blocks can be easily installed as the complexities are less, and you can install them as per your requirement. Pea gravel act as a locking substance that prevents the movement of the irregularly shaped stones. Preparing the ground for the construction is important as the wall can sink or crumble without a strong foundation. Also, if you are building a reclining wall the pressure due to soil mass can make the wall unstable. You need to start with clearing the grass and waste, and digging a six inch deep and 24” wide trench where the wall should come up. Fill the trench with the paver base, leaving a depth of the size of a brick and an inch, and tamp it firmly using hand tamper. Stone dust will be the next layer occupying one inch depth. Important thing during natural stone installation is that the slope of stones should be against your home, as you’d not want the water to accumulate next to it. Now start laying the stones without disturbing the underlying layers. Placing them one next to the other is better than dropping them on the paver and pulling towards the already placed stone. Once a layer is completed, fill the spaces with pea gravel. You can use two lines of adhesive gum pastes to strengthen every layer. 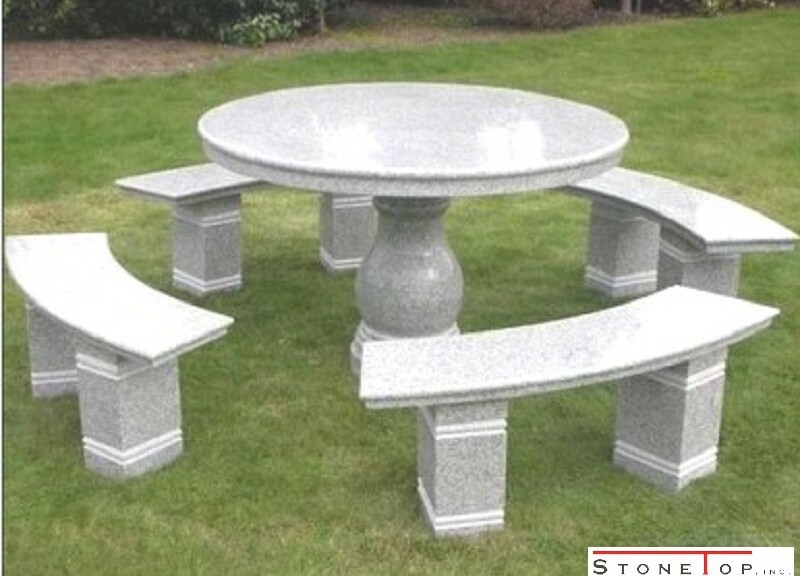 Height of the capstone surface must be limited based on the age group of people using the natural stone seating wall. A 24” width, for capstone surface, is better to form a comfortable seating space. And also Read: How to Install Natural Stone Tiles? Building natural stone seating wall is an art as well as a technique. A poorly constructed wall lives short and leads to many problems such as water logging, deterioration in structure and looks, etc. Use aforementioned tips to build the wall of your choice using the material of your choice. © Copyright 2015 stonetopgranite. All rights reserved.